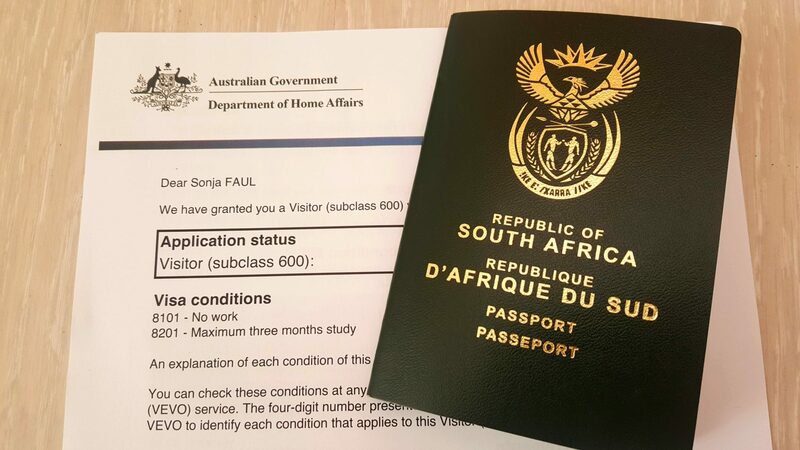 As the holder of a South African passport, I’m no stranger to applying for tourist visas when I travel. At the end of last year, I had to get a new passport because my previous one was full. That is, full of visas! Visas filled up 9 of the 26 pages in my passport. Anyway, I’m flying Down Under later this month to visit my family and explore Australia’s Gold Coast. Because I have a South African passport, I had to apply for an Australian visa to enter the country. Here are my best tips for applying for an Australian Visitor Visa online and what you can expect. First things first, which visa should you apply for? If you’re travelling to Australia as a tourist, on business or to visit family members, you must apply for a Visitor Visa (subclass 600). Within this subclass, there are 6 different categories. You can find the categories listed here. Select the one that best describes your visit. In my case, since I’m applying from the Netherlands and funding my own trip, I applied for the Tourist Stream (apply outside Australia). Should you apply online or go through an agency? My suggestion is to apply for the visa yourself online using the official website here. You have to create an account, supply all the relevant information, attached the required documents and pay a fee. The process can be time-consuming but it’s super simple. If you’re pressed for time and don’t mind paying an extra fee, it’s worth considering using an agency. But in my opinion, it’s better to do it yourself. 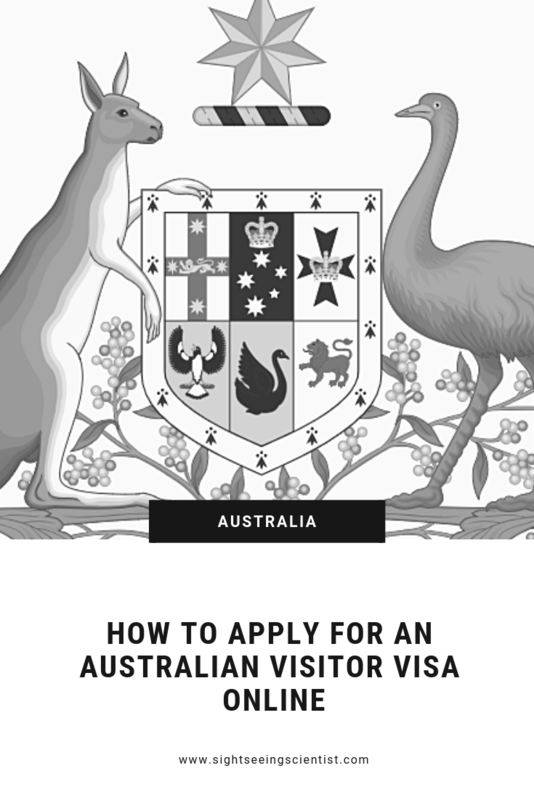 Like I said above, the process of applying for an Australia Visitor Visa is super simple. My suggestion is to gather all the necessary documents first before supplying all your details (contact, personal and passport details, employment status etc). You can find a step for step guide here, as well as a list of all the documents you need to provide. Start your online application by creating an ImmiAccount. Once you’ve supplied all the relevant information about your trip, you have to attach all the supporting documents. Some documents are required (for example a passport photo and a certified colour copy of the information page of your passport) and some are suggested (for example a letter of invitation and bank statements). I strongly urge you to attach as many relevant documents as you can. This only makes your case stronger. If you attach the wrong documents or not enough, the government may request you to provide additional documents which will extend the application processing time. Also, make sure that the documents/copies you attach are of high quality and legible. The final step in the visa application process is to pay. The amount that you have to pay depends on the type of visa you selected. If you’re applying for the Tourist Stream Visitor Visa from outside of Australia, the fee is AUD 140, plus a small admin fee of a couple of dollars. Once you’ve paid for and submitted your application, you’ll be sent an official letter stating that your application has been received. This letter was sent to my email address within a few minutes of submitting my application. The Australian government updates the expected visa processing times monthly. For a Tourist Stream Visitor Visa, 75% of applications are approved in 19 days, and 90% within 27 days. You can find the processing times here. Estimated processing times for Visitor Visas. Unlike most visas, a physical sticker isn’t fixed inside the pages of your passport. Instead, you receive a grant letter, which you have to show when you board your flight and upon arrival in Australia. I recommend that you print this letter. The Tourist Stream Visitor Visa is valid for 3, 6 or 12 months. My visa is valid for 12 months from the date of issue, with multiple entries permitted and a maximum stay of up to 3 months. I hope you find this article useful and that you enjoy your time Down Under!